Managing an incident or natural disaster is a challenging and costly endeavor. This is most apparent in recent events such as the wildfires in California, Hurricane Maria in Puerto Rico, Hurricane Florence in the Carolinas, and Hurricane Harvey in Houston, Texas. 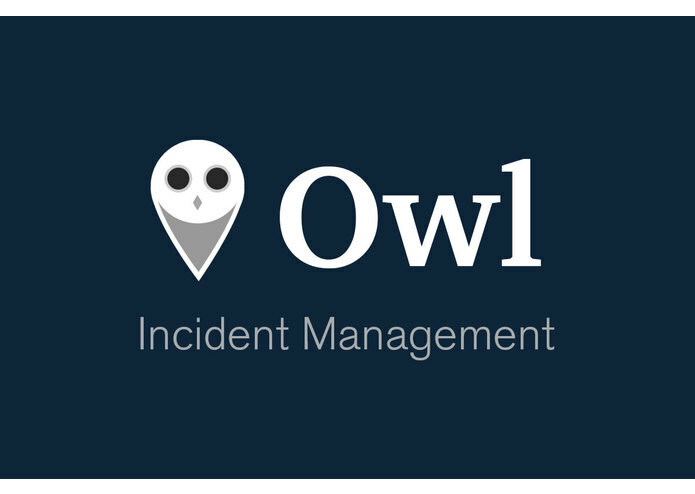 We created Owl Incident Management to streamline incident preparation and recovery. 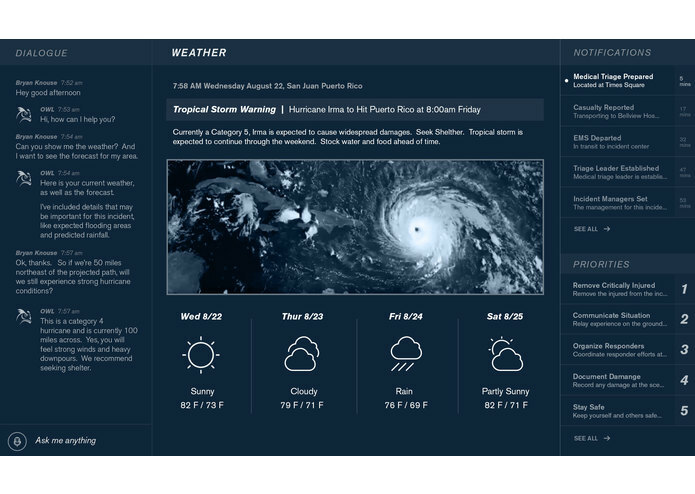 Owl Incident Management provides a software incident management system that accumulates data from many sources during a disaster - weather APIs, first responders on the ground, and civilians - and stitches this data together in a visualization platform to paint a clear operating picture of an incident. But there is still a problem. In the worst disasters infrastructure and connectivity are likely to be offline. So how do we deploy Owl incident management to these areas? 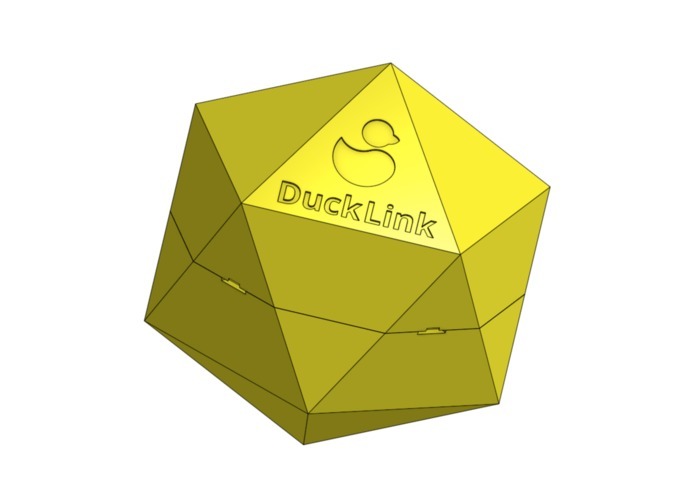 We have developed small, wireless IoT devices called “Ducks” that we can drop in a networked cluster that we call a “Clusterduck”. Through this distributed IoT network we can deploy Owl Incident Management to the most challenging environments. Developing a fully distributed network is a challenge and there are many problems along the way. Namely the range and connectivity of the ducks, and ensuring signal delivery is a difficult challenge that requires more to the solution than just code. A very basic version of this network and software is functional. Software is hard. Hardware is harder. Continue to build out the distributed IoT network as well as the software platform that brings all the data together. 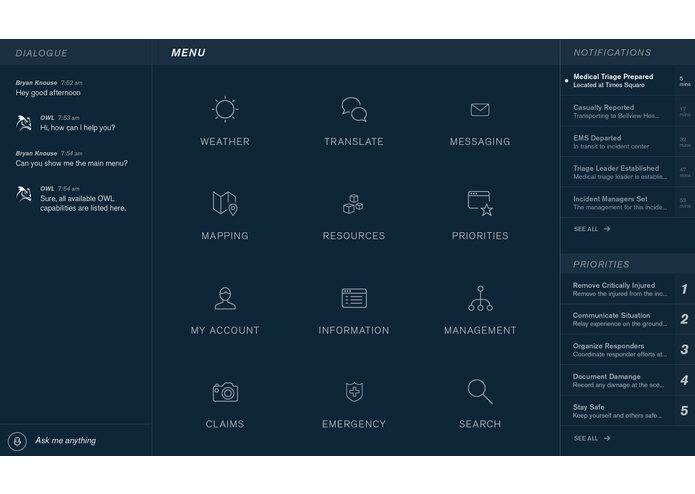 Find interested parties across government, military, and insurance markets.